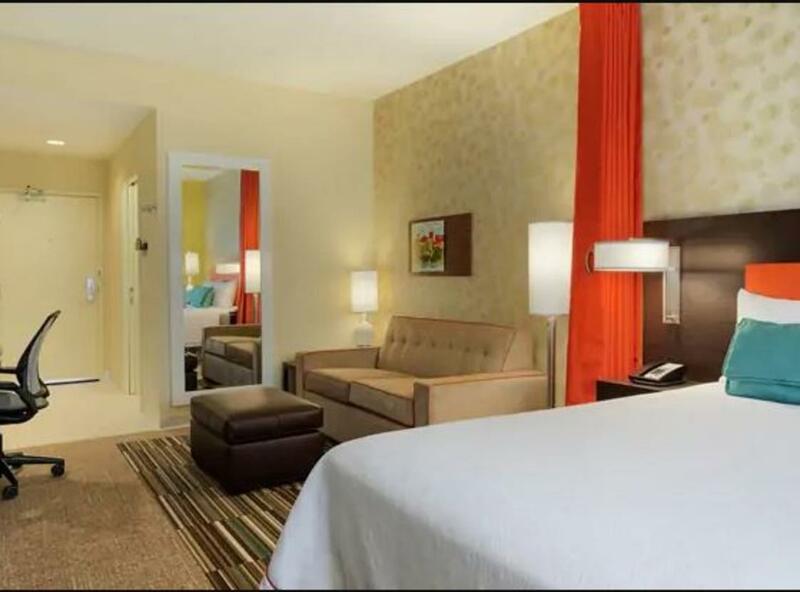 Feel right at home at the newly built Home2 Suites by Hilton Woodbridge Potomac Mills hotel. Located just minutes from Fort Belvoir and Quantico, we make it easy to relax and stay awhile so you can focus on your work. Unwind at the end of the day with a large variety of restaurants and shops at Potomac Mills Outlet Mall. Start your day each morning at our Inspired Table™ with both healthy and delicious options. Mix and match your favorite breakfast, choosing from a variety of cereals, artisan breakfast sandwiches, waffles, hot cereals, yogurt and assorted toppings, for over 400 possibilities. Each morning of your stay will bring a new breakfast combination. Every room in our all-suite hotel is customizable to your needs with moveable furniture, a full kitchen, sofa bed, free WiFi and a 49-inch HDTV with premium channels. Choose a one bedroom suite for more space, two TVs and dining table with chairs. Give multi-tasking new meaning at Spin2 Cycle, when you run on the treadmill while running a load of wash. When you need to finish a project, use the 24-hour business center with free WiFi and printing. Stop by the 24-hour Home2Mkt for a snack and any forgotten travel essentials. Plan an event in our 1,560 sq. ft. of space featuring one large, divisible meeting room, bar and A/V equipment rentals. This type of room is a great choice for small weddings, reunions and team training sessions.